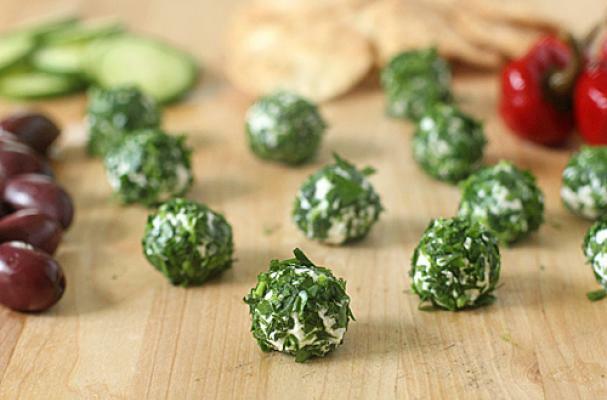 These easy feta cheese truffles from The Galley Gourmet can be made for any occasion. Fresh feta cheese is mixed with cream cheese, garlic, and shallot before being rolled in chopped parsley (or your favorite herb). These savory truffles are great for entertaining because they can be made ahead of time and relatively quickly. Set these feta truffles on a platter with lamb meatballs, olives, roasted red peppers, and marinated artichoke hearts. For full recipe instructions, click here.